Our vocabulary today has undergone a serious change and is not what it was, say, merely 10 years ago. While words have been added, some words have been disregarded to such an extent that their actual meaning has been lost. 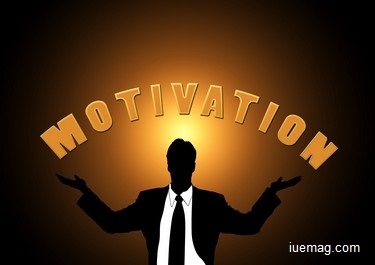 Motivation is one of the words belonging to the latter category. Motivation, a word all of us use almost daily, translates to reason(s) for actually behaving or acting in a particular way. This might be construed as a ‘cause’ of a reaction, but it might not always be so. While all causes can act as motivation, not all motivations cause an effect. Once we understand the etymology, it becomes easier to discuss further on the topic. Almost all successful entrepreneurs are pretty convinced about the fact that motivation does play an important role in causing success. According to one of them, “If hard work is the key to success, motivation is the ironsmith behind the manufacturing of the key.” Clearly, motivation is a superior quality and has a share in the successes. exist. Similarly, in the field of motivation, there’s a positive motivation and negative motivation or demotivation. In business, especially, while motivation in itself very useful, camouflaged demotivation can cause multiple harms. Thus, motivation is an essential idea which is basic for comprehension of and change in authoritative conduct and execution. It is along these lines imperative for the organisational chiefs to comprehend Motivation. It is an essential apparatus which they can use to get more out of their representatives and increase authoritative execution. While concluding this, I will only say, that Motivation Equals Progress. Even self-interest is a form of motivation. It leads to progression and without that, the cave menwould’ve never gotten beyond learning about the wheel. There is no single purpose of self-interest, it is for the individual to decide, but it is my motivation to live and I am convinced that it raises the standards of life. All things naturally progress because they adapt, but yet, my will to adapt to something is the motivation towards life to continue. Motivation in every sphere is a must, and specifically, for growth. It is in the benefit of the organisations, to finally accept and implement positive motivational skills.